I am excited to share that SOUL Food Salon is hosting a food challenge for 2019. If you are interested in subscribing to the weekly email announcing the ingredient of the week please click here. The theme of this project is to cook with real food and to try new ingredients. If you have kids, get them involved, whether it be in growing the food, going to the market, prepping and cooking and, of course, eating! The overarching goal is to have fun in the kitchen and enjoy some new, seasonal ingredients. I will email you the "said" seasonal ingredient on Friday morning. Included in that email will be some information about the ingredient. I will also try to share a recipe. 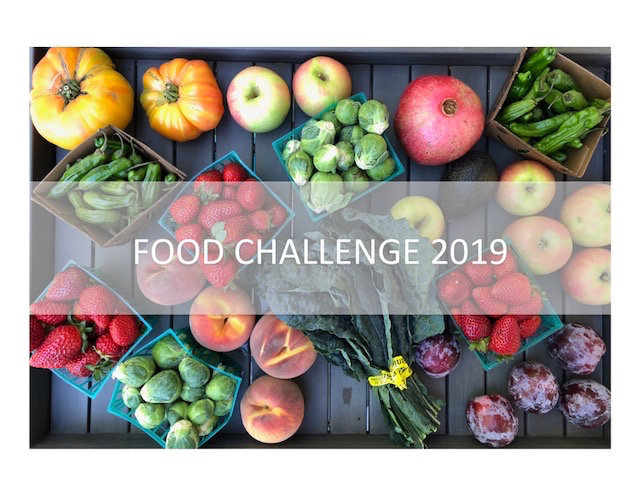 To help make this experience more interactive, if you make a recipe that includes the ingredient, please photograph it (perhaps include the recipe) and post it on Instagram using the hashtags: #foodchallenge2019 and #soulfoodsalon. Follow @soulfoodsalon on Instagram where I will post the ingredient every Friday. This is meant to be educational and inspirational. Please share your experiences with others while on this fun cooking adventure.